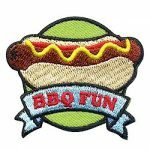 Welcome your girls and their families back for a new year with a barbeque fun event. Also a great way to end the year. 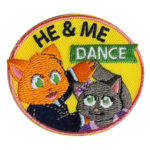 No event is complete without a great patch. Your girls can volunteer to take care of younger kids at a blood drive, leader meeting or for another worthy cause. Make sure your girls are prepared with fun activities for kids to do and that they make sure all of the kids are safe and entertained. 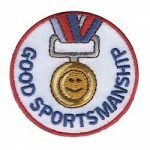 Remember this patch after their hard work. 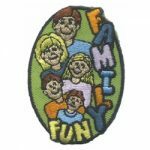 Have your scout invite their families to a fun event or trip. 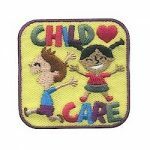 Give your girls a patch as a reminder of a great time with scouts and their family. Your girls invited a special guy to your bowling event. 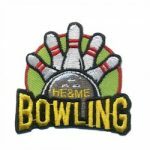 Remind her of the fun they had together with this special He & Me Bowling patch. 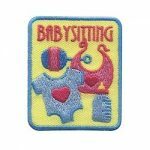 If your event is flexible allowing your girls to bring any special adult they choose, this cute patch is perfect! 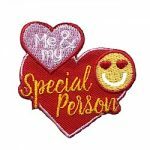 For that special event for your girls and that special lady in her life. 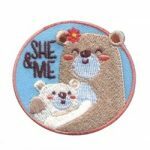 The She and Me patch will remind them of the fun they had together.